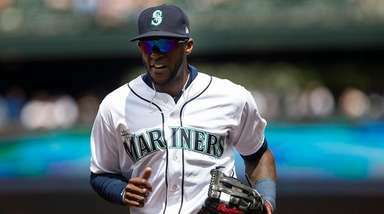 Reyes is batting .149 with a .415 OPS and also has six errors in 23 games. 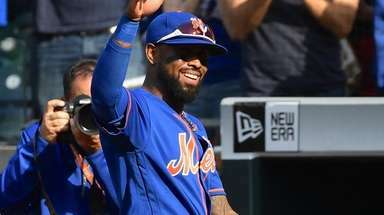 ATLANTA — Jose Reyes is still a Met in part because the team lacks other options, general manager Sandy Alderson said Tuesday. 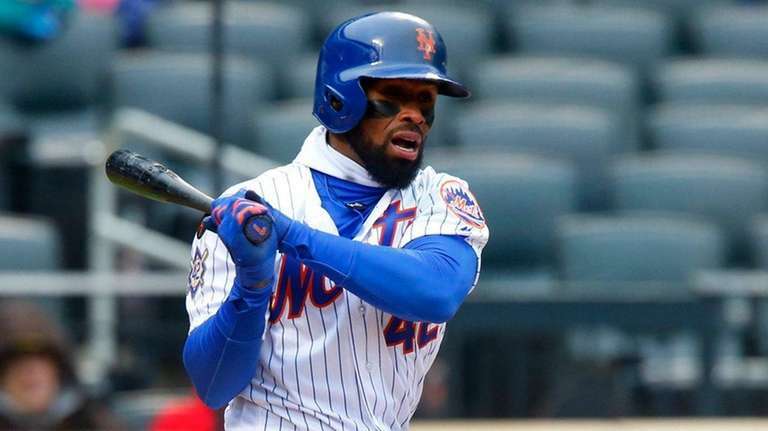 Reyes, 35, once the franchise shortstop and now a struggling utility infielder, headed into the Mets’ series with the Braves batting .149 with a .415 OPS. He also has six errors in 23 games. Alderson added that one factor in potentially dropping Reyes is “an indictment of other personnel,” i.e. the Mets’ organizational depth. Infielders Gavin Cecchini (foot) and T.J. Rivera (Tommy John surgery), for example, would be potential replacements but are injured. All of the Mets’ healthy 40-man infielders already are in the majors. “At this point, Jose is on the team,” Alderson said. “Again, he’s on the roster. 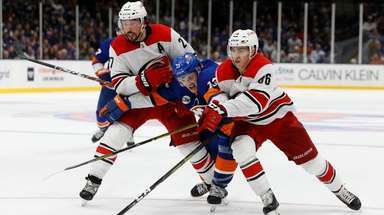 He’s a viable player for us,” Alderson said. “I am cognizant of his history with us, no question about that. Noah Syndergaard (right index finger strain) and AJ Ramos (right shoulder strain) received second opinions on their injuries in recent days. Ramos’ issue appears to be more serious. He is considering surgery “or a more conservative treatment,” said Alderson, who expects a decision in the next few days. “We certainly don’t expect him back anytime soon,” Alderson said. Syndergaard received a second opinion Tuesday in New York. The Mets are considering promoting first baseman Peter Alonso and infielder Jeff McNeil to Triple-A Las Vegas from Double-A Binghamton in the coming days, Alderson said. Alonso, 23, is slashing .310/.441/.567 with 15 homers and 50 RBIs. “It appears teams are starting to pitch around him a little bit. That’s really not good for his development,” Alderson said. With first baseman Dominic Smith back in the majors, it opens playing time for Alonso in Vegas. Alderson said that once Alonso reaches Triple-A, the Mets will not send him back to Binghamton, even if Smith also returns to the minors. 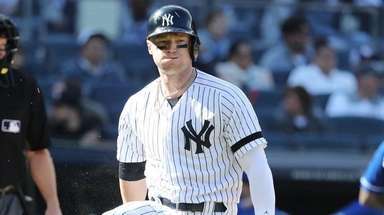 McNeil, 26, also is mashing: .333/.406/.647, 14 homers, 42 RBIs. He’s not as much of a buzzy prospect because he’s old for Double-A, but he has seen time at every infield position and centerfield in the minors. “He’s having a very legitimate season in Double-A and we have to see more,” Alderson said. Yoenis Cespedes (strained right hip flexor) was still sore during a physical-therapy session Tuesday in Port St. Lucie. “We have to get that out,” Alderson said. “I can’t give you any real prognosis.” . . . Infielder Wilmer Flores (sore lower back) began a rehab assignment with High-A St. Lucie Tuesday, going 1-for-3 with a double and playing five innings at third base. . . Seth Lugo will stay in the rotation for at least another turn, starting Friday against the Diamondbacks. Jason Vargas, who had his previous turn skipped, will start Saturday. Sandy Alderson takes blame for Mets’ woesHis team spiraling and questions about its short-term ceiling and big-picture path increasingly relevant, general manager Sandy Alderson took the blame Tuesday for the state of the Mets.